Hyde Park area’s Fisher Properties Group provides full-service turn-key rental property management and real estate brokerage services. Hyde Park is a historic neighborhood and district within the city limits of Tampa. It includes Bayshore Boulevard, Hyde Park Village and SoHo. Its ZIP code is 33606. Hyde Park includes many historic homes and bungalows. 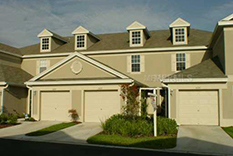 Its history and proximity to downtown Tampa make it a desirable residential neighborhood. Because of its convenient location, a wealth of new developments are being built in Hyde Park. This new construction includes the upscale shopping and dining destination of Hyde Park Village as well as multifamily housing developments. The warm waters, temperate weather and variety of opportunities to enjoy the outdoors make Hyde Park an ideal place for residents of all ages. A home in Hyde Park places one a short distance from boating, fishing, golf, and cycling year-round. Just need a place to relax? Within twenty minutes you can be under an umbrella at some of the most beautiful beaches in the world.